A Salem man was arrested Wednesday on charges that he illegally sold a weapon that was used in a murder-suicide in West Linn last March. With assistance from the U.S. 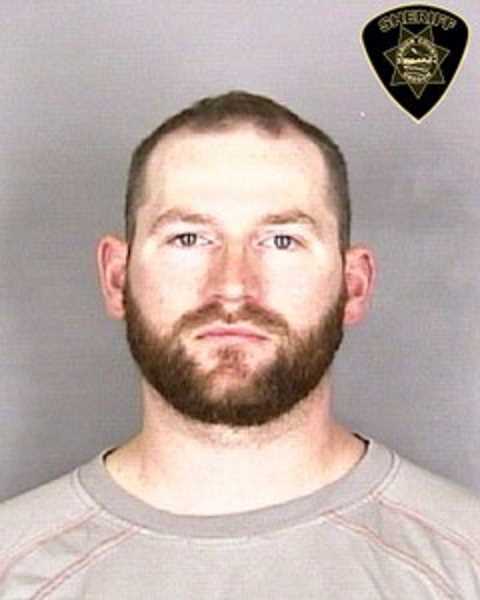 Marshals Service and Marion County District Attorney's Office, Clackamas County Sheriff's Office deputies arrested 34-year-old Justin Coleman at his home Wednesday morning on charges of possession of a controlled substance, distribution of a controlled substance and firearms transfer by an unlicensed person, according to a press release from CCSO. Authorities zeroed in on Coleman during their investigation of the March 7 murder-suicide involving West Linn residents David Cote and Bethany Schuch. Using what is known as an SKS semi-automatic assault rifle, Cote shot and killed Schuch outside a residence on Alderwood Drive in West Linn before turning the gun on himself. After accessing Cote's phone, investigators identified Coleman — who at that time had a federal license to deal firearms out of his home — as a possible supplier of the weapon. According to CCSO Public Information Officer Brian Jensen, Coleman did not follow proper protocol in selling the weapon to Cote. "In a legal gun sale, Coleman would have filled out an ATF (Bureau of Alcohol, Tobacco, Firearms and Explosives) Form 4473 and initiated a background check on Cote before allowing him to purchase a registered firearm," Jensen wrote in the press release. "Instead, in February 2018 Coleman sold Cote an unregistered SKS rifle for an undisclosed amount of cash. The weapon was later used to murder Bethany Schuch." CCSO detectives, ATF agents and Salem Police officers served a warrant at Coleman's home on May 23, recovering evidence of the illegal sale in the process according to CCSO. Coleman's Federal Firearms License was revoked that same day, and investigators also discovered evidence that he was illegally dealing anabolic steroids. The investigation continued until Wednesday morning's arrest. Coleman was lodged at Marion County Jail and bail was set at $20,000.